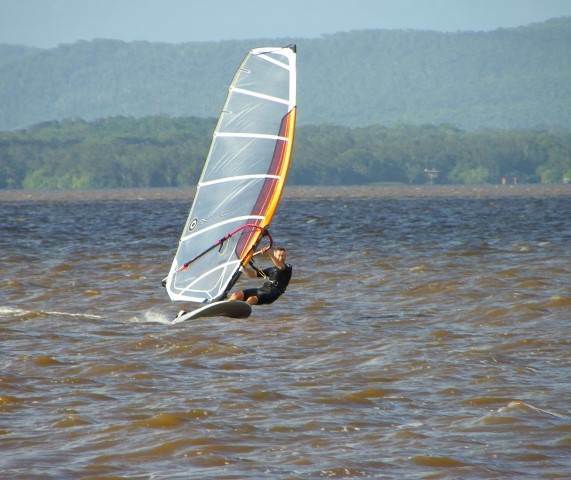 Very sad news for the windsurfing community today with the passing of Jeffro this afternoon a week after his heart stopped just before he was about to come out sailing at Lake Weyba. Unfortunately he never recovered consciousness & with his wife Marcia & some of his family with him was taken off life support & passed away peacefully at about 1pm this afternoon. I'm sure I speak for everyone that had the pleasure of knowing him that he will be sorely missed & in our memories for a long time. Very sad news about Jeff, rest in peace mate. Very sad day, I always had fond memories of Jeffro ripping along in 8 knots of wind and no one else planning. Condolences to the family he will be missed. Saddened by this news. Jeffro was one of the first people I met when I took up the sport. His friendliness and enthusiasm was greatly appreciated and such an asset to the sport. All round good bloke sorry for his family. I met Jeff at Burrum and up the lakes years ago but haven't seen him for years since he started the bakery and sailing took a back foot. Only met Jeff on two occasions at Windwanderers social days. But I enjoyed a conversation with him on both occasions. He seemed a very genuine and friendly gentleman. Sad news indeed, condolences to his family and friends. Gutted Such a nice, friendly bloke, made me (and everyone) feel so welcomed when visiting Lake Weyba. You'll be sadly missed by many. RIP Jeffro. 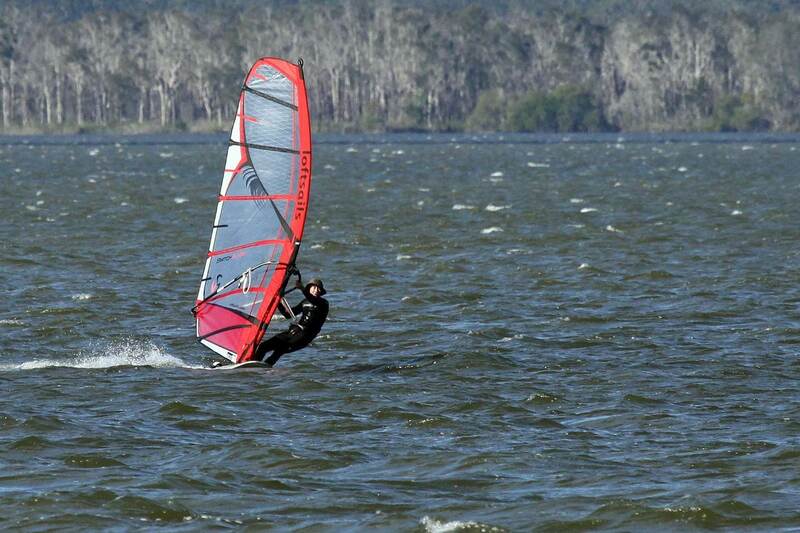 Tough news for his family and the windsurfing community. Top guy who really cared about people. Will be missed. RIP Jeff. This is very sad news. Condolences to his family and friends. One of the best sails I had in many years was with Jeffro, Anne, Greg and Pete at Weyba 23/09/2015. Did a PB distance and enjoyed the beers with Jeffro after it. Sailed with Jeffro a few times but nowhere near enough. Always one of the first to give you a pat on the back when you did a Pb or just a good session sailing. 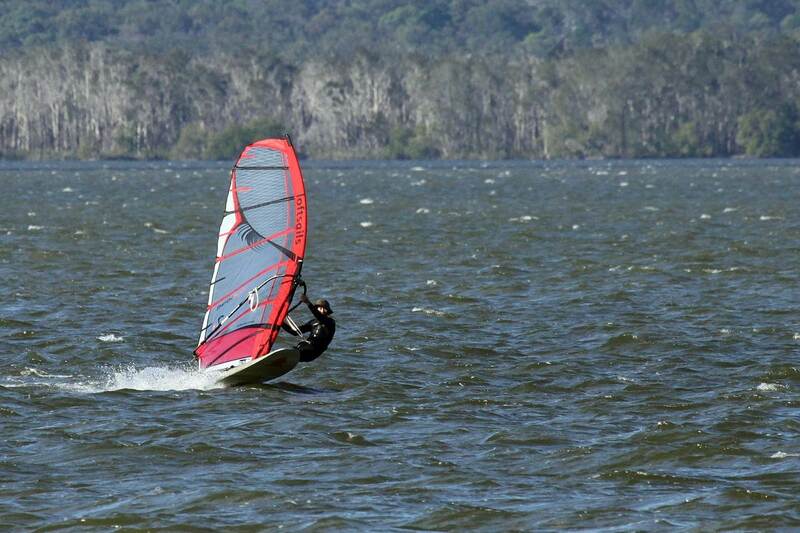 Jeffro was a good guy, hard worker and just enjoyed windsurfing - highly respected for his sailing with Sunshine Coast Vikings GPS team challenge. He made you feel welcome at Cootharaba when I sailed there. How fortunate are we all who have had the gift of spending time with Jeffro. Jeff would always make me smile, and would always have plenty of time to catch up for a chat and a laugh. I have many memories of sailing with Jeff over the years. He got me into GPSTC, set up my GT31 and guided me through using it properly. In the early days, he would regularly be sailing all over Cootharaba "checking the cray pots". Jeff would often have a jar of lollies which he loved to share after sailing. This later changed to his famous bread which he would cut up and share with us all. I think I will never forget the sound of his voice as he flew past me in some pretty light wind - Heeeeeeeeeeeey! !?? It always sounded like he was enquiring - why are you going so slow? Thanks Jeff! Very sorry indeed to hear that news. Vale. I really only knew Jeffro a tad but he always was super keen and friendly and positive, always willing to help the windsurfing crew with his baking treats also, he was always yahooing on the water loving every minute, got planing on a fairys fart and loved whizzing past you as you pumped like a mad man, so sad that he has been taken from us well ahead of Scedule. the Photos above are Sad and a celebration also, but maybe a reminder to us all, to make the most of every moment and live life to the full, and EVERY chance you get to be on the water is AWESOME and every session is gold not matter how ****ty the wind or what equipment you did or did not have need to make it better, cause that sail you just had or are about have maybe your last! So make every session count. This is such sad news, Jeff was such a genuinely nice friendly helpful happy guy who no doubt will be really missed by all who knew him. One of the joys of our sport is meeting guys like Jeff, condolences to Jeff's family. Jeffro was one of the first guys to contact me on our Queensland trip, unfortunately didn't get to sail with him, as there wasn't any wind. But we spent an enjoyable few hours over a drink by the water somewhere. 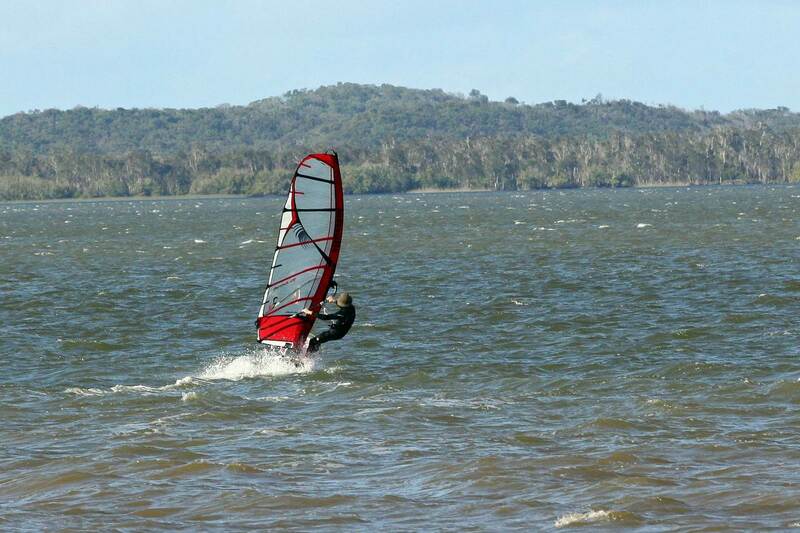 A great loss to the windsurfing community, my condolences to all involved. Sorry no news yet on Funeral arrangements, have not anything from heard from Marcia yet. Rode down to Bakery on Monday but it was closed, will visit again today. As soon as I hear anything will put it up on this Forum & a GPSTC post. I've been informed by the family that they are waiting for Jeff's body to be released. (Feels strange talking about my friend in this way. Not sure how he would react...) More details to follow in the coming days. Caught up Marcia yesterday, hopefully they will be able to hold Jeffs funeral next Tuesday the 11th. It will be held at Drysdale Funerals on Cooroy Noosa Road, Tewantin. Its about 500 metres in towards Tewantin from St Andrews Drive next to Tewantin sporting fields. Will confirm date & time as soon as I know. I didn't know Jeff personally but in speaking to Bryn Sommers last night I got a small insight into the kind of guy he was. With that and from reading the comments here I can see he was a valued member of our Windsurfing community and an all round great guy who will be sadly missed. 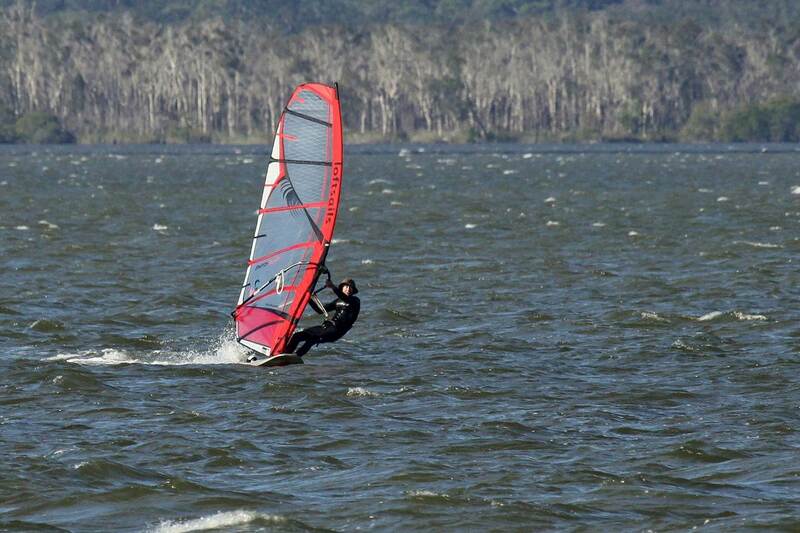 On behalf of the Windsurfing Community I'd like to offer our condolences to his wife and ten brothers and if there is someone attending the funeral who could pass this message on it would be most appreciated. Funeral for Jeff will be on Tuesday 11th of July at 10 am at Drysdale Funerals on Cooroy Noosa Road. Extra parking is next door in the sporting fields area. Could those sailors who will be attending please post on this Forum Thanks. This will keep it at the top of the forum hopefully up to the Funeral day & the other sailors please keep your posts to a minimum for the next few days, Thankyou. We will be coming down on Tuesday to say our farewell to Jeff.